Let me begin by saying, phew! What a week; trying to finish this game up in the midst of thrilling playoff basketball action while having to study for an organic chemistry exam and visiting old high school friends really takes some doing. That�s summer though! Anyway this blog will be about a recent bout with nostalgia and the resulting experience. This incident with nostalgia first took place on the 21st, during the supposed Rapture. I wasn�t running around telling people to repent for their sins and accept Christ into their lives, rather I was trying to recollect the past events of my life, you know incase the world did end. While I was visiting the C-blogs and reading the various Rapture related blogs, I began to remember my past gaming experiences. There are always the main ones people remember like their first console or first RPG, but there are some experiences that are obscure and go unnoticed unless you dig deep and try to remember that special game you had when you were a kid. This obscure game for me was StarTopia. 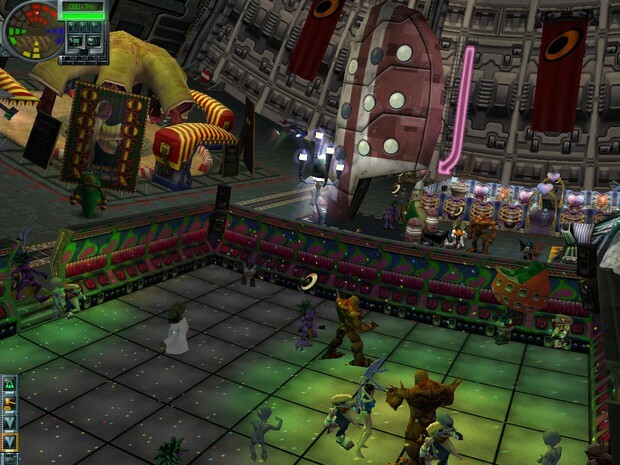 If you haven�t played StarTopia then read on as I attempt to fill you in on this underappreciated PC gem. If you have played it, read on and see if we�re on the same page! The station that the player runs in the game. 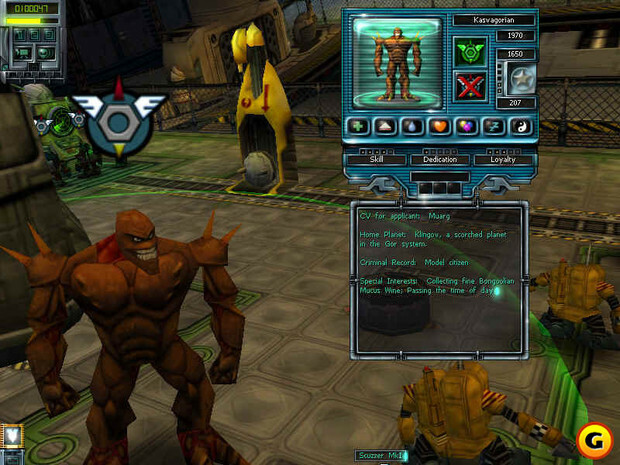 The game came out in 2001for the PC and was created by Mucky Foot Productions and published by Eidos. If you remember, this was a time when the �tycoon� style of game was increasing in number thanks to the success of Roller Coaster Tycoon. 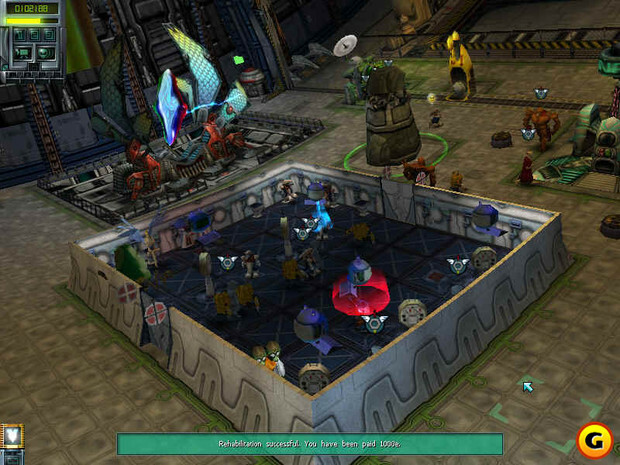 StarTopia can be described generally as a �tycoon� game, but it had more character than your average build and manages style game. 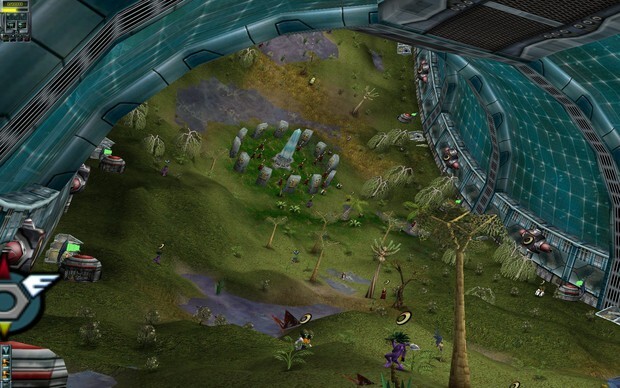 The premise of the game was for the player to be an administrator of a toroidal space station; building and maintaining this station in order to attract the various species of aliens and create a flourishing destination known through out the galaxy. The game was set up with various missions for the player to undergo, from learning the basics to waging full scale wars inside the station, in order to gain recognition as a good administrator and move on to the next task. The station is divided into 3 levels, or decks: Engineering, Pleasure, and Bio each with their own set of equipment you can use to build and expand. The Engineering deck consists of buildings that deal with basic amenities (�inns�, eateries, lavatories, and hospitals) and production related facilities (cargo bays, factories, and recyclers). The Pleasure deck provides entertainment for your residents and visitors in the form of bars, motels, �love shacks�, and discos. Finally the Bio deck contains an artificial environment that the player can manipulate to create specific environments to grow supplies and remind the aliens of home. Now that the general stuff is out of the way, let�s jump into the meat of the game! A nice view of the Bio deck. The "main" deck, Engineering deck, is where aliens arrive and the essentials for a space station can be found. Since it�s the first thing that you notice, lets talk about the sounds of StarTopia. The music in the game is great. Each deck has its own sound that keeps the pace of the game going even though there are only a few tracks per deck. The Engineering deck has an upbeat sciency-techno sound, the Pleasure deck has more of a club-techno theme, and the Bio deck has a mix of ambient noises and relaxing beats. The music makes you feel at home in each section and the selection of tracks are memorable. As the player transitions between decks the songs seem to meld together, like a DJ mixing the tunes, and flow well from deck to deck. The various buildings each have their own music as well, with some, like the disco, that can be altered so that the player can hear the room music without having to zoom in to the building. This small touch adds a bit of character to the game, giving the player reason to care about the layout and maintenance of their buildings. The relaxing sounds of the Bio deck. One of the more...interesting tracks from the Pleasure deck. There are essentially two voices in the entire game with the rest of the voice acting being alien gibberish. The two characters in particular are VAL and Arona Daal who were both voiced by William Franklyn. The alien gibberish is similar to Similish, but it makes more sense and makes the aliens seem more lively and familiar. The two voiced characters are great. VAL is that all familiar NPC that is just a voice that helps you through these types of games, though VAL is�different. His stinging sarcasm and wit coupled with his dry tone offer up some good laughs that can help liven up any dull moments. Over the course of the game, however, the player and VAL form a sort of bond, where VAL will express concern in losing his job along the player. This is significant because it creates this idea that you�ll be dragging down your helpful NPC in your miserable loss. The other character, also voiced by Franklyn, is Arona the merchant. He is a typical black market dealer that will visit the player offering goods and supplies at higher prices. At first you tend to think Arona is a sleazy prick, already having a poor reputation among other station owners, but as the game progresses sometimes you yearn for his next visit hoping he is carrying the item you seek. Arona�s dialogue also provides some laughs, but his lines tend to repeat a tad bit too much to the point of skipping some of his conversations. The next point of the game worth exploring is the game play. At its core, you are trying to run a business in StarTopia. You are given a space station and are required to transform it into a prosperous mining rest stop, hospital, or jail. To complete these objectives you have to manage your money, building space, and work force. There are 9 main races (8 that can work) that will visit the station and potentially become residents if hired. The races all have their own mannerisms, preferences, and job specificities. The Grey race, for example, is the stereotypical alien looking race and specializes in medicine, so they work in hospitals. Each individual alien also has a set of information ranging from home planet to crimes committed. After familiarizing one�s self to the various races, its time to play the game. The main story mode is not that long, but each mission offers varied game play as to how they are completed. It�s great that Mucky Foot was able to create these various scenarios while making the game feel fresh with each mission. One mission involves employing various farmer type aliens and creating goods on the Bio deck. These goods are then stored and traded with other traders in order for the player to earn 100,000 energy (energy = currency). The game it self is not too difficult to grasp and play, although there are hectic times when the station population increases and other players are trying to take over your portion of the station. Aside from the missions there is a sandbox mode and a multiplayer mode (which I have yet to try). A well furnished Pleasure deck is a good way to earn some dough. Disco, Disco! Overall this game can best be described as quaint; it has enough charm to draw me back after years of neglect and fails to disappoint me. I think the main thing that I was thinking about during my play through was how games are similar to pictures in that they can conjure memories from the past when you last played them. 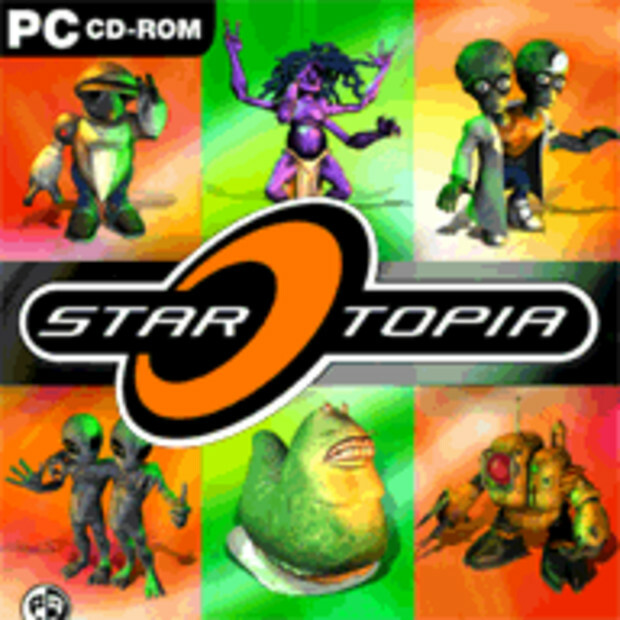 When I played StarTopia I remember my computer I used to run the game, the place I used to live, my standing in school and other warm fuzzy memories that make me smile. There are games that are contrary to this, however, and frustrate the player due to poor aging and work well as a fond memory rather than a recurring experience. There are things that I didn�t touch upon about this game because if people do decide to play it, I would like them to discover, or rediscover, the small touches that make this game a quaint underrated gem able to stand the tests of time. I never took the time to fill this out because when I first joined I didn't think there was much to talk about...and I still think so! Cerealy, I'm currently almost done with college and pursuing a career as a veterinarian (yay more school!). Started gaming pretty young with the Genesis and SNES thanks to my mom. I love anything that intrigues me or provides a challenge. I've been into fighting games for the most part, but tend to drop off when people get too...projectile spammy (fist fights anyone?). I also play RPGs, tried some MMOs (Mabinogi? ), tried RTS's, played first person shooters (CoD sometimes), and everything else in between. Loves me some good pixel art and old school gaming now and again. Watched too many cartoons, and still do. 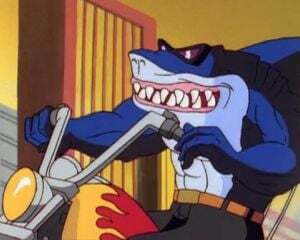 Favorites include classic 90s cartoons (Street Sharks), everything Looney Tunes (Bugs specifically), classic CartoonNetwork and Nickleodien (Dexter's Lab and Hey Arnold) fare, and Animu (Champloo). Movies are similar to my gaming interests, a little bit of everything. True Grit, zombie flicks, summer flicks, action flicks, comedies, you get the idea. Music is more geared to Hip-hop and Nujabes type sounds, but also a bit of everything (except Country...). Interesting Side Note: I'm Brazilian! No I do not go around saying, "BR?" everywhere. I have a theme song!